Membership Dues apply to the calendar year ending December 31. Annual Dues to renew membership for the following year should be paid in full on or before December 31. Don't forget to renew your membership! Any member who elects not to renew will be dropped from the membership roster if Annual Dues are not received by December 31. To apply for new membership, you may download and print a copy of the Radio Club of Tacoma Membership Application Form. Please fill in the requested information and send the form by mail with your personal check or money order made payable to "Radio Club of Tacoma" to the address shown on the bottom of the form. These forms are also available at the Clubhouse during Open House hours. A complete schedule of dues and privileges for various membership types appears in the Membership Application Form. 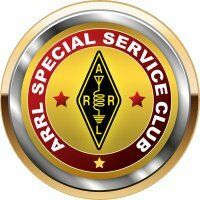 The Radio Club of Tacoma is a Special Service Club of the ARRL. Club members are encouraged to join the ARRL. Click here for information on ARRL membership and renewals.